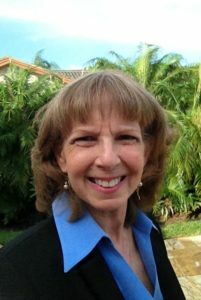 Sharon Perlman is an Associate Professor in Pediatrics at the University of South Florida Morsani College of Medicine in Tampa, Fl. She received her medical degree from the Albert Einstein College of Medicine in New York, completed residencies in pediatrics at Tufts-New England Medical Center in Boston and at Emory University Affiliated Hospitals in Atlanta, and pediatric nephrology fellowship training at St. Christopher’s Hospital for Children in Philadelphia. Dr. Perlman has spent most of her career in the Department of Pediatrics at USF where, until recently, she was medical director of the Dialysis Unit at All Children’s Hospital in St. Petersburg, FL. Dr. Perlman has been very active in ASPN, having served on the Public Policy Committee for several years prior to being elected to serve on Council and then as Treasurer, Secretary-Treasurer, President-elect, and then as Councilor. Dr. Perlman has also been active with our sister society, the Renal Physicians Association, where she currently serves on the Board of Directors. H. William Schnaper– Bill Schnaper received his BA in Philosophy from Yale University and his MD from the University of Maryland. He was Resident and Chief Resident in Pediatrics at the Mount Sinai Hospital in New York City before spending 2 volunteer years in the National Health Service Corps. He trained as a Fellow in Pediatric Nephrology at St. Louis Children’s Hospital and then remained there on the faculty for 7 years before moving to Children’s National Medical Center in Washington, DC, where he also worked in the Laboratory of Developmental Biology, National Institute for Dental Research. 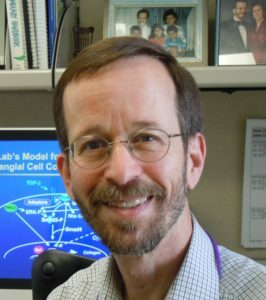 In 1994, he joined the Pediatrics faculty of Northwestern University and Children’s Memorial Hospital (now the Ann & Robert H. Lurie Children’s Hospital of Chicago), where presently he is Irene Heinz Given and John LaPorte Given Professor of Pediatric Research. Bill’s lab focuses on the molecular mechanisms of chronic, progressive kidney disease. He is Medical Editor for the American Board of Pediatrics Subboard in Nephrology. In the ASPN, he served on Council from 2000-2014, including terms as Secretary-Treasurer and President. His current professional goals involve promoting faculty career development and working to enhance the pipeline of new treatments for pediatric kidney disease. He lives in Wilmette, IL, with his wife Maria, enjoys his three children and 7 grandchildren, and plays bass in a rock band and a klezmer band. 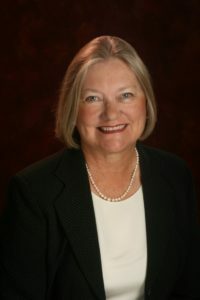 Sandra Watkins– Born in Washington DC to a career military family, she lived many places around the country, ultimately graduating from the University of Colorado with a BA in chemistry in 1972. At the University of Colorado, she was awarded the Outstanding Undergraduate in Analytical Chemistry. She and her husband, Dale, lived in Boulder, Colorado where their two children were born. After the children started school she continued her education, graduating from the University of Texas at Houston Medical School in 1981. At UTMSH she graduated AOA and was the Outstanding Student in Pediatrics as well as the Walter G. Sterling Award recipient as the Outstanding Medical Student in her class. She completed her Pediatrics Residency at the University of Washington and Seattle Children’s Hospital in 1984, serving as the Assistant Chief Resident. She completed her Fellowship in Internal Medicine and Pediatric Nephrology at the University of Washington and Seattle Children’s Hospital in 1986. She began her faculty career there attending at University Hospital, Seattle Children’s Hospital, Northwest Kidney Center, and Harborview Hospital 1984-2009. She also held Outreach Clinics in Montana and Alaska.